Set in San Francisco before the high-tech markets went bust, The Big Boom features Dante Mancuso, an obsessive private investigator who works the streets of his hometown where he's known by his nose and his nickname: The Pelican. Settling in and hoping to settle down, his peace is shattered when an old North Beach family asks him to find their daughter---one of Dante's former sweethearts. Though the case alienates his longtime lover Marilyn Visconte, Dante has no choice but to plunge into the shadows of the dot-com revolution .A tightrope of a novel and a perfect modern example of classic noir, The Big Boom is a taut story about familial duplicity, personal greed, and the desperate pull of love in many forms. 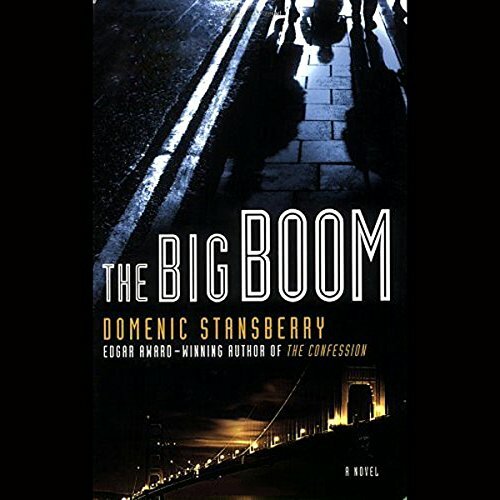 ©2007 Domenic Stansberry (P)2010 Audible, Inc.
What would have made The Big Boom better? I listened to Sandra Brown, Mean Steak and wanted another read from reader. This author is just not for me. After 3 hrs, I just had to stop. If the pace was twice as fast, it could MAYBE have saved this read. I am trying to find another good author by this reader. Not sure why J.D. read this work so slow. It was a waste of his great talent. Mean Streak was so fast pace, that I listened to it straight through. Some author's may tell reader what they want in the read. If so, slow is just not doing it. If you could play editor, what scene or scenes would you have cut from The Big Boom? I am not a fair judge of this author as this is not my genre.